After wandering in the proverbial desert of so-called unified collaboration solutions for 15-plus years, have we finally reached the Promised Land of seamless collaboration? 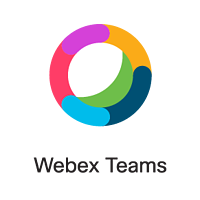 Both Microsoft (Teams) and Cisco (WebEx Teams) have recently unveiled exceptional collaboration platforms. Both promise to deliver a truly unified collaboration solution for the enterprise. But there’s a catch. The successful deployment of any collaboration solution depends on how well you prepare for it. I like to think of asking five critical questions. Skip just one and the odds of having a successful Teams deployment decrease with every unchecked box. Is Your Network Built for Teams? Ensuring that your network is built for Teams is the first step in guaranteeing a successful Teams adoption. Investing the time and resources to build a Teams-ready network, including correcting any shortcomings, is—in our experience working with enterprise clients—money well spent. Here’s the situation: Most enterprises that are looking at UC right now are still running on older technology, which presents both a challenge and an opportunity. In many cases, companies are using old Avaya or Unify platforms for voice; for AV, chances are they’re running old Cisco and Tandberg rooms, along with a plethora of other semi-collaborative tools. In addition, many legacy voice systems depend on outdated TDM technology such as video that uses different or older codecs, or collaboration tools that lack the file-sharing capabilities of Teams. Knowing what to keep and what to scrap to make way for the right collaboration solution is key to your ultimate success. It is important to conduct a proper assessment of the network, because without such an evaluation, a successful Teams adoption will be doomed from the start. For example: Imagine asking someone using an old digital phone to “add on” a voice, video, and collaboration-enabled application, and then say “go”! Now imagine doing that across the entire enterprise. It would produce disastrous results. Twenty years ago, as VoIP emerged, most vendors wouldn’t deploy VoIP without a network assessment and for the most part, the enterprise agreed. Somewhere in the last two decades, that requirement seems to have fallen by the wayside. We’ve heard it all. Everyone thinks their own network is fantastic. It probably was for the technology that was being used in the past, but as technology changes, the network needs to change as well. 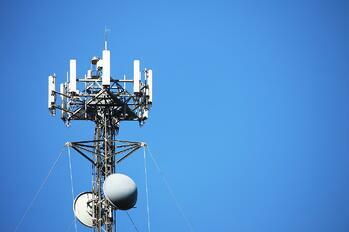 Can Your Carrier Network Get the Job Done? Evaluating your carrier network is as important as assessing your own LAN/WAN. In many instances, the tools and processes for evaluation of the carrier network are the same. While network assessments do not always accurately consider this complexity, understanding your network will have a large impact on your success. Any evaluation must take network factors into consideration. Along with the network assessment, the evaluation should paint an accurate picture of payload and what the implications are. For example, a recent enterprise customer of ours had previously centralized the majority of its telco at 150+ global locations into three regional SIP trunks. It was a sensible, cost-effective solution. These new SIP trunks terminated where the existing legacy Avaya cores were located in the United States, Europe and Asia. Like almost all Avaya systems, this one was due for decommission by a UC solution. However, the US and Europe locations for the legacy Avaya system were not their regional data center locations and did not have ingress/egress to the internet. (Internet ingress/egress was in their offsite data centers.) Had this situation not been properly identified upfront, it could have caused quality issues with the “go live” and some uncomfortable conversations about how this was not thought of ahead of time. It bears repeating: Proper evaluation and assessment of both the customer network and carrier network is critical. A frequently overlooked aspect of evaluating and assessing how ready an enterprise is to adopt Teams is the identification of the main users, or personas. It’s important to understand how they will use collaboration solutions for various aspects of their job, such as improving workflow and business processes. Ultimately, the adoption rate depends on how well each user’s own clients experience this solution. Indeed, customer acceptance is critical and fundamental to the ultimate successful adoption of Teams. 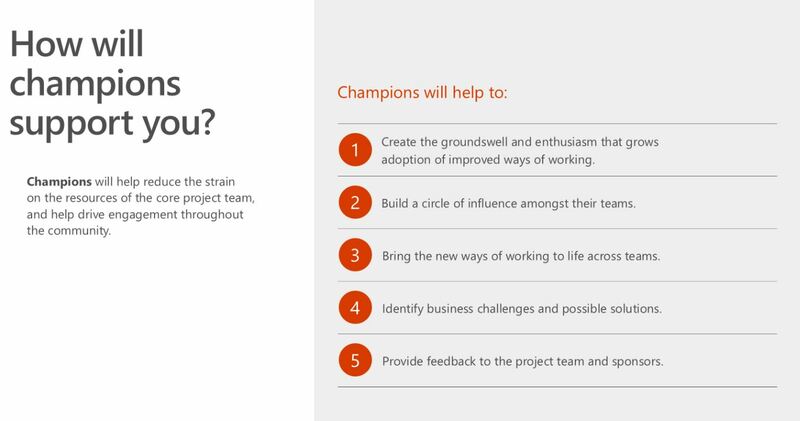 Microsoft recommends building a champion in your workforce to help drive engagement with the new tools. Another critical determiner of success is to understand how different groups within the enterprise use collaboration. For example, Engineering groups in the automotive industry may use the same Teams application differently than, say Engineering groups in a technology company. Sales teams in the oil and gas industry may collaborate differently than sales teams in pharmaceuticals. While accurately determining user personas is complicated, doing so is critical to achieve a successful user adoption. It is easy to get dragged into the minutiae and come up with 30 different personas. It is equally easy to pare it down to just two personas. Both approaches are a recipe for failure. To succeed, you need to evaluate how people will use the different modalities of UC and, in percentages, which modalities apply to the different employee groups. This information will help you select your primary user personas. 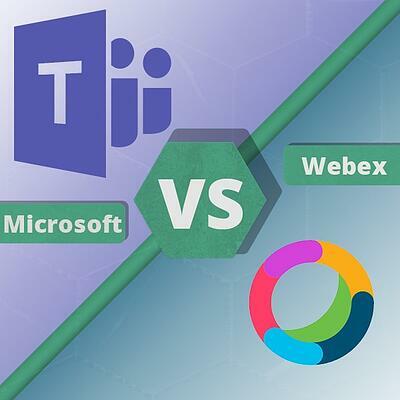 Is Microsoft or Webex Teams Best for You? Up until this point, I have placed Cisco WebEx Teams and Microsoft Teams in the same “bucket” of fully collaborative UC solutions, and have asked the question of how we can determine if an enterprise is ready for either solution. While it is not my intention here to hold a kind of “bake-off” between the Cisco and the Microsoft solutions, what I do want to point out is that when an enterprise is evaluating whether they are ready for Teams, it is also critical to determine their readiness for either Teams solution. While differences exist between the Cisco and Microsoft UC/IC platforms, some subtle and some profound—both are superior solutions. Making the right selection depends on the needs of your enterprise. You might prefer Cisco’s “one big umbrella” approach to applications, endpoints, edge and core devices, over Microsoft’s focus on the application and embrace of the best-in-class open ecosystem. To select the right Teams platform, you need to conduct evaluations and assessments ahead of time to succeed in enterprise-wide adoption. How do we take what we have discovered and create a coherent and effective plan to deploy Teams? Perhaps the most important factor in Teams deployment is to ask the question, is Teams ready for my enterprise? The single most important consideration is to choose the Teams approach that is right for your enterprise. Once you assess what you have and know what you need, you’ll be better situated to choose the Cisco or Microsoft solution that is right for you. Without a doubt, a huge opportunity exists for a superior collaboration product (or products) to emerge.